There has never been a better time for designers to start a business with a 3D printer created product. With 3D printers, designers can use lean concepts to focus on product development while minimizing the time and money spent on traditional non-value added business overhead. Other new technologies can be used by lean start-ups in conjunction with 3D printers as well. Designers can use the internet to conduct product market needs analysis with web based survey tools and obtain investors through numerous crowd source funding resources like Kickstarter. In fact, 3D printer created product offerings are one of the most common crowd source funding offerings out there. Web based videos are typically part of the crowd source funding presentations and can also serve as advertising and marketing tools. After determining marketing interest and demand, potential designers can use new fundings to purchase 3D printers and related supplies and peripherals to create and produce new products. When designers make such purchases they may be eligible for new startup 3D printer designer payroll tax cash rebates which are available from the federal government as of January 1, 2016. *Table based on new payroll credit and assumes $80,000 annual salary per employee. Every $80,000 will generate $4,800 in tax credits. Employee benefit services such as medical, insurance and 401K plans. Often cyber security protection related to these cloud offerings is superior to a smalls firms’ overall security capability. 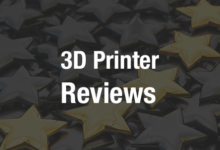 In summary product designers can use 3D printers to create a product crowd, source funding to provide the investment funding and SAAS software applications to operate business. Moreover the federal government will now provide meaningful R&D cash rebate tax credits for doing so. So 3D product designers what’s keeping you from starting up your new business? Charles R. Goulding and Michael R. Wilshere of R&D Tax Savers discuss research and development tax credits which are available for 3D printer purchasers.